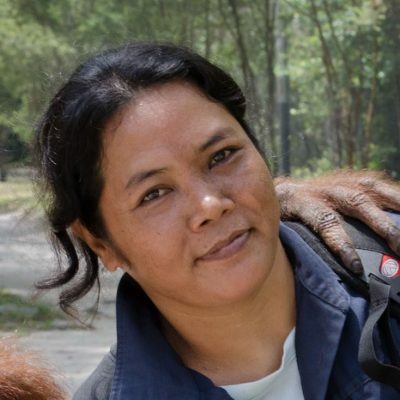 On December 11, 2012 about one hundred people gathered at an isolated Orangutan Foundation International (OFI) forest camp at the edge of Tanjung Puting National Park in the province of Kalimantan Tengah (Central Indonesian Borneo) to release five wild born ex-captive adolescent male orangutans into the wild. 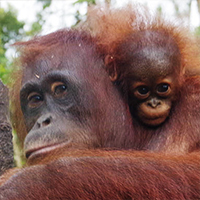 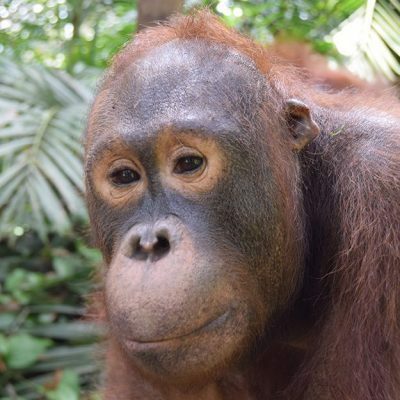 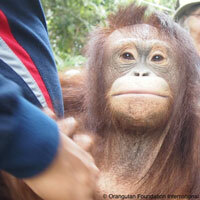 The release occurred under the auspices of the “Friends of Orangutans” program initiated by OFI and P.T. 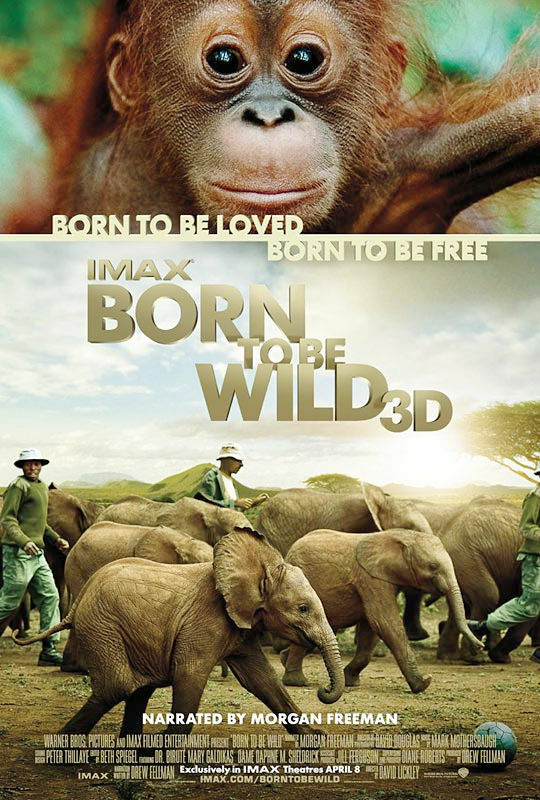 Smart, an Indonesian company concerned with conservation.